Holcomb Behavioral Health Systems is a leader in providing services and supports for people with mental health, substance abuse, and developmental disabilities. 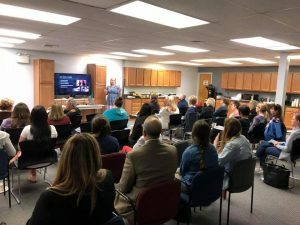 The Delaware County Holcomb Prevention department is located in Media, PA. Holcomb has been providing evidence-based prevention programs for youth and parents in Delaware County since 1997. Through a diverse range of activities, prevention efforts come alive as part of a planned strategy to prevent or reduce the use of alcohol, tobacco and other drugs. The department offers a wide range of programs designed to help people lead healthier lives and to build stronger communities. Our programs are for people of all ages, from all backgrounds. The Beginning Awareness Basic Education Studies (BABES) program is a primary prevention program for children, grades K-2nd. BABES provides factual information on alcohol and other drugs, introduces decision making and coping skills, and works to increase each child’s self-awareness. The goal of BABES is to help children enjoy happy, health, drug-free lives. 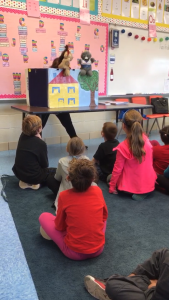 The program incorporates seven fun puppets to introduce factual, non-judgmental information on alcohol and other drugs, decision making and coping skills. BABES is delivered in seven lessons, usually once a week. Any school in Delaware County (public or private) may request the BABES program by calling Holcomb Behavioral Health Systems. Trained volunteers and staff present BABES to over 500 children each year. To request this program or for additional information, please contact us at 484-444-0412. This program is coordinated by Holcomb Behavioral Health Systems and funded by Delaware County Office of Behavioral Health, Division of Drug & Alcohol. Positive Action is a 6-lesson program which encourages students to make positive choices. It works by teaching and reinforcing that you feel good about yourself when you do positive actions, and there’s a positive way to do everything. Positive Action is designed to improve academic achievement, school attendance, and problem behaviors. Keep A Clear Mind (KACM) is a program geared towards youth in 4th – 6th grades that introduces the topics of alcohol, tobacco, marijuana, and making good choices, and details the harmful effects and consequences of each substance. Each week, a Prevention Specialist will introduce the weekly topic and students are given a workbook to be completed with a parent or guardian at home. KACM encourages parents and youth to start the discussion of drugs and alcohol prevention. Safe Dates is a highly engaging and interactive program designed to stop or prevent the initiation of emotional, physical, or sexual abuse between individuals in a dating relationship. Best for grades 6-12, teens learn to recognize the difference between caring, supportive relationships and controlling, manipulative, or abusive relationships. Safe Dates is an evidence-based program that has been identified as a model program in the National Registry of Effective Programs (NREP), found to be effective in both preventing perpetration and in reducing perpetration among teens already using violence in their dates. Adolescents who have participated in the program are less accepting of dating abuse, have stronger communication and anger management skills, are less likely to gender stereotype, and have a greater awareness of community services for dating abuse. Living With Purpose is a mentoring program designed to cultivate positive leadership and goal setting skills with youth in grades 6-12 experiencing difficulties. Students meet with an adult mentor for a series of 30 minute sessions. Students will focus on: accepting personal accountability and responsibility for his or her life, critical thinking skills, and develop a personal mission statement. The mentor will also be available to help students get involved in positive school and community based events. Meetings can take place during and after school, at the Holcomb office, or another community based setting depending on the student’s needs. Best for students in grades 9-12, this engaging and interactive program increases awareness about issues related to high-risk behaviors including alcohol, tobacco and other drug use and gambling, through activities such as charades, taboo, word scramble and trivia. This is a one-time presentation. Youth in grades 10-12 participate in this awareness campaign by visiting participating stores and place eye catching stickers that display a warning message about the penalties for providing alcohol to anyone under 21 on alcohol products. 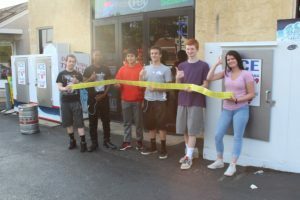 By participating in this project, teens are taking a proactive stand against underage drinking. 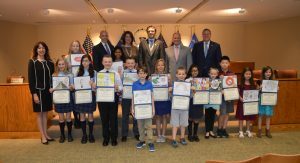 Students in grades K-8 throughout Delaware County are encouraged to submit lively and colorful artwork for publication in the annual Alcohol, Tobacco, and Other Drug Awareness Calendar. The goal of the Alcohol, Tobacco, and Other Drug Awareness Poster Contest is to encourage all students to value healthy lifestyles and to think about the consequences of alcohol, tobacco and other drug use. This year was the 30th year for the ATOD Poster Contest and we believe that the most powerful prevention messages are created by our young people as witnessed by the over 300 wonderful posters submitted from 15 schools this year. Each school receives a letter detailing the process that they are encouraged to share with their students. Students may submit posters from December through the beginning of March. The 15 winning posters will be featured in the 2019 ATOD Awareness Calendar. A total of 4,000 calendars are distributed to schools, businesses, agencies and community groups throughout Delaware County. To view the 2019 ATOD poster contest informational packet, click here! Our prevention staff can tailor speaking engagements to any age or demographic and can provide education on a vast array of ATOD topics. These speaking engagements are coordinated by Holcomb Behavioral Health Systems and funded by Delaware County Office of Behavioral Health, Division of Drug & Alcohol. 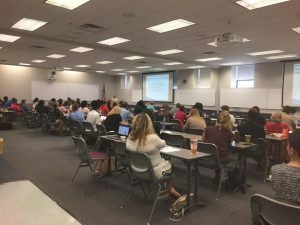 The Student Assistance Program (SAP) is a Commonwealth Approved and mandated program in K-12 Pennsylvania schools to help students overcome barriers to their school success and assist students and families in referrals to appropriate resources. Barriers may include substance, tobacco and alcohol use and mental health concerns. A SAP trained group of school professionals work with students and their families in a confidential manner to identify possible obstacles and offer services to help link students with appropriate school- based and/or community resources. Holcomb offers consultation and technical assistance services to schools to assist SAP teams in the delivery of SAP in their schools, to provide mental health, substance/alcohol screenings to students with emphasis on parent/guardian involvement in the SAP process, to help run evidence-based student groups and make available prevention initiatives. 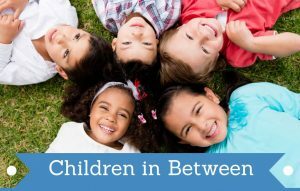 Children In Between is a self-directed online program for parents features several short videos accompanied with questions and answers to help sharpen parenting skills. This interactive program offers evidence-based skills to help parents effectively manage issues that come up in co-parenting. It addresses specific stressors that children and parents can be under and offers tools to effectively handle interactions and situations. It is an online program, accessible 24/7, and features video scenarios as well as guided questions. Financial problems, long distance parenting, children carrying the message, putting down the other parent, and quizzing children about the other parent are just some of the topics covered in this program. Children in Between takes approximately 3- 5 hours to complete and can be done over the course of 30 days. Each lesson is approximately 30 minutes and will resume where stopped. There is also access to technical assistance by phone. Upon completion, there is an instant printable certificate. *Please note: parent must have an active email address, computer access, and be able to download Google Chrome. 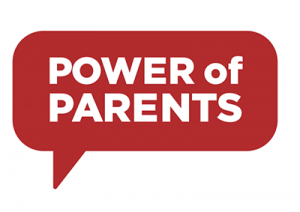 Power of Parents is a research based program, developed by MADD (Mothers Against Drunk Driving). There are two different versions: a shorter condensed 15 minute presentation or the full 40 minute presentation that equips all parents, grandparents, and caregivers with the tools needed to help them start the potentially lifesaving conversation about alcohol with their teens. All who attend the program will receive a free parent handbook that further details what was discussed in the presentation such as, tips for talking to teens and starting the conversation about alcohol, helping teens make good choices, understanding adolescent development, adolescent brain development, and parenting skills/strategies. This program is part of the Strategic Prevention Framework-Partnerships for Success which is funded by the Delaware County Office of Behavioral Health, Division of Drug & Alcohol, and is coordinated by Holcomb Behavioral Health Systems. 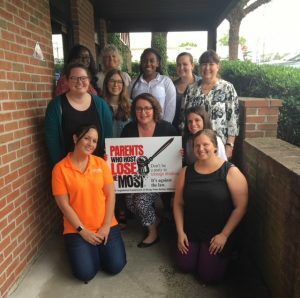 Parents Who Host, Lose the Most is a public awareness campaign, created by the Prevention Action Alliance, which works to educate communities and parents about the health and safety risks of serving alcohol to teens. Well-meaning parents often host parties for their teens and their teens’ friends thinking that it will be a safer environment, even if alcohol or other substances are present. Underage drinking is illegal, and as a parent, you cannot allow your underage children, and their friends to possess or consume alcohol on your property, even with their parent’s permission. Parents can face criminal charges, civil liability, large fines, and even jail time for hosting underage drinking parties. “Parents Who Host, Lost The Most: Don’t be a party to teenage drinking” is a registered trademark of the Prevention Action Alliance. 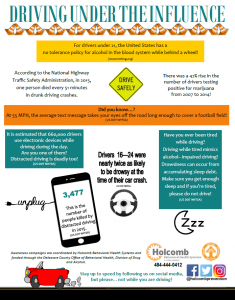 This campaign is coordinated by Holcomb Behavioral Health Systems and funded by the Delaware County Office of Behavioral Health, Division of Drug & Alcohol. For more information, please contact us at 484-444-0412. These monthly campaigns aim to break the belief that “everyone is doing it” and educate community members through printed materials, speaking engagements, and activities that, in fact, most youth today are not using drugs or alcohol. These monthly flyers highlight our environmental awareness campaigns that aim to increase awareness and educate the community on important topics to prevent ATOD use. SAP Council is a series of six trainings that educate Student Assistance Program (SAP) team members and school personnel on up-to-date information regarding current drug trends, public awareness campaigns, effective treatment interventions, etc. Holcomb offers a wide variety of educational trainings for professionals from many different backgrounds. Contact our office to learn more about upcoming events. The Committee On Prevention Education (COPE) is an Alcohol, Tobacco and Other Drug (ATOD) Prevention support program offered to grassroots community groups (Act 211 groups, PTO’s, civic associations, community tasks forces, etc. ), post-prom committees, and/or non-profit organizations to implement activities, educational programming, and school or community events that are specific to preventing youth substance use and/or increasing community awareness of substance abuse issues. 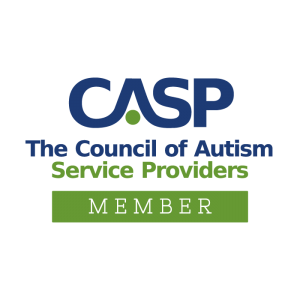 COPE members are able to apply for monies to support their ATOD programs and events through funding provided by the Delaware County Office of Behavioral Health, Division of Drug & Alcohol. This community-based prevention program has supported a variety of activities including: family game nights, drug-free concerts and dances, high school after prom parties, town hall meetings, and evidence-based youth and parenting programs. COPE events show youth and community members ways to have fun without the use of drugs and alcohol.  The Chichester Community Coalition is an all-inclusive community group for those dedicated towards the continued improvement of the Chichester area. Working collaboratively, our goal is to increase the availability of prevention programming and protective activities in Chichester; decreasing drug use among Chichester youth while strengthening Chichester families and communities. By connecting and providing community leadership and resources, to identified gaps in services, we can bring about the positive changes we all wish to see throughout the Chichester community. This coalition strives to unify the Chichester Community through active participation, identifying the needs of community residents, and providing positive activities for youth and families. The Chichester Community Coalition is coordinated by Holcomb Behavioral Health Systems in partnership with the Chichester School District, and is funded by the Delaware County Office of Behavioral Health, Division of Drug and Alcohol. Learning about Healthy Living (LAHL) includes 6-8 motivational, group sessions designed to help smokers at any motivational level to quit. These sessions are ran at various organizations throughout Chester, Montgomery, Berks, Lancaster, Schuylkill, and Delaware counties and focus on tobacco prevention/education as well as various wellness topics such as physical activity, healthy eating, and stress management. Nicotine Replacement Therapy (NRT) provided to interested participants as available. For more information, please contact our office at 484-444-0412. 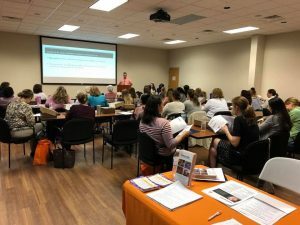 This program is coordinated by Holcomb Behavioral Health Systems, supported by the Health Promotion Council, and funded through a grant from the Pennsylvania Department of Health. The Fax to Quit program is an evidence-based, individualized, free counseling to assist an individual to quit smoking that includes weekly phone meetings and in some cases free nicotine replacement medication. 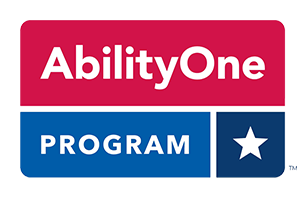 We can provide technical assistance to your site to assist in overcoming barriers to program participation. Simply put, following the brief training, those who are trained will be able to sign staff up for Fax-to-Quit where they can receive the help they need to quit smoking or using tobacco products including 4 weeks of FREE nicotine replacement therapy and phone counseling/coaching. 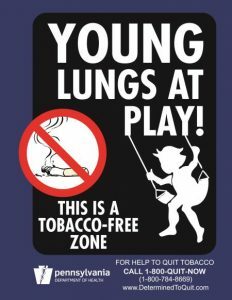 Through the Southeastern Pennsylvania Tobacco Control Project and the Health Promotion Council, Young Lungs at Play (YLAP) is an initiative focused on eliminating children’s exposure to secondhand smoke and harmful litter, at local public parks, playgrounds, community centers, organizations, churches, institutions, and other properties. YLAP is a no-cost, tobacco-free program supported by the Pennsylvania Department of Health through a grant from the Centers for Disease Control and Prevention and is administered by Health Promotion Council.